Geneva - Honda's new Insight Hybrid is making its European debut at the Geneva Motor Show with the combination of a 1.3-litre i-VTEC combustion engine an electric motor. A key element is the Eco Assist system with the upper instrument cluster featuring a colour changing ambient light that illuminates green when driving ecologically, blue/green when the car is being driven acceptably and blue when driven less economically. Honda lists consumption at 4.4 litres per 100 kilometres with a carbon dioxide emission figure of 101 grams per kilometre. Lausanne, Switzerland - The International Olympic Committee (IOC) on Tuesday announced that Briton Mark Adams has been appointed Director of Communications. The 45-year-old, who is joining the Olympic body from the World Economic Forum in Geneva, Switzerland, where he was Managing Director and Head of Media and Communications, will be taking over his new position at the end of May. In a statement the IOC said that the former journalist worked for several television stations before joining the World Economic Forum. 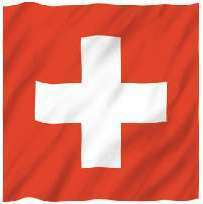 Berne - The Swiss economy shrank in the fourth quarter of 2008 by 0.3 per cent compared with the previous quarter, the State Secretariat for Economic Affairs said Tuesday. Revised figures for last year's third quarter showed the economy had contracted slightly - by 0.06 per cent - an official said, putting Switzerland officially into a mild recession. The decline in real gross domestic product was 0.6 per cent when compared to the last quarter of 2007. Basle, Switzerland - At exactly 4 am (0300 GMT) Monday, with many thousands crowding the streets of the old part of Basle city, the power company killed the lights and a cannon burst was sounded, just as the first percussionists beat their drums, kicking off the ancient Fastnacht festival. 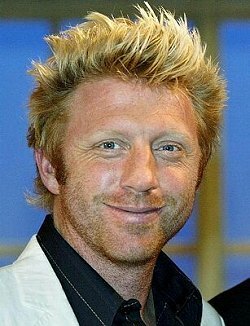 Geneva - Boris Becker chose a popular German game show to announce another go at marriage, saying he is back together with one- time girlfriend Lilly Kerssenberg, and would marry the 32-year-old Dutch model in June. The shocker came in front of 9.7 million on the show "Wetten Dass...?," where the high-profile pair were guests. Also seated on the sofa, Hollywood star Jennifer Anniston. It's been up and down for the love life of three-time Wimbledon winner Becker, who only split a few months ago with his last love Sandy Meyer-Woelden, 20-something daughter of his late manager. Berne - Jean-Pierre Roth, chairman of the Swiss National Bank, said Friday he would retire at the end of the year, having served in the role since 2001. He named no successor. Roth, who worked for the bank for three decades, will step down in midst of a global economic crisis, which has also hit Switzerland, particularly as it is an exporting nation and relies on a financial sector that makes up an estimated 12 per cent of GDP. Many observers have commended Roth's monetary policy during the onset of the financial woes and as it turned into an economic crisis. Basel - Sarasin and Cie, a private Swiss bank, said Thursday its adjusted net profits in 2008 were 114.4 million Swiss francs (98.2 million dollars), down from 173.5 million the previous year. The bank said it had an "impressive" new money inflow of 14.5 billion francs in 2008, a 30 per cent increase over 2007. Just over half of the new money came in during the later part of the year. At the end of 2008, Sarasin managed client assets totalling 69.7 billion, a drop of 16 per cent compared to the previous year, attributed to overall market conditions. Zurich - The embattled Swiss banking giant UBS announced Thursday it appointed a new chief executive officer to replace Marcel Rohner, who resigned, at the top of the company. "This represents a further step to restore stakeholder confidence and to pave the way back to success," UBS said in a statement. The bank's board of directors said it appointed Oswald J. Grubel to the position of CEO with immediate effect. Grubel for decades worked at Credit Suisse, the second largest Swiss bank behind UBS. Geneva - As a young girl, Elisapee Sheutiapik never wore short-sleeved shirts, but the weather in the summertime in recent years can reach 25 degrees in her hometown of Iqaluit, close to the Arctic Circle in northern Canada. Climate change has also impacted the lives of winter hunters from the indigenous Inuit people in Canada. "Our older hunters, who go out to the land regularly, are sometimes stuck now, and we are conducting more search and rescue missions" said Sheutiapik, the mayor of Iqaluit. Zurich - The Swiss-based private bank EFG International said Wednesday its profit in 2008 dropped 33 per cent compared to the previous year. The bank's stock closed down about 35 per cent. Meanwhile, the Pictet and Cie private bank based in Geneva said it would expand its wealth management business, in a move against the current of the global economic downturn. Zurich - The Swiss-based private bank EFG International said Wednesday its profit in 2008 was down 33 per cent compared to the previous year. The bank's stock dropped about 20 per cent in morning trading. The asset manager said its profit for 2008 was 221.9 million Swiss francs (191.6 million dollars) on total revenues of 946.3 million, a slight increase over the previous year. If adjusted for non-recurring items, net profit was 280.9 million. Zurich - Shares in UBS fell Tuesday, hitting a new low on the Zurich exchange, as Switzerland's largest bank said it would fight to keep client information protected. The stock hit 9.35 Swiss francs during trading, a record low, but did recover slightly to close at 9.85, down 1.5 per cent on the day. A US judge on Monday gave UBS until April 30 to file a response to a summons against it by authorities there, demanding that the bank hand over some 52,000 names of US clients holding assets in Switzerland. The judge scheduled a trial for July 13. Zurich - Shares in the Swiss bank UBS continued their fall on Monday, dropping 9.09 per cent to 10 francs (8.59 dollars), setting a new low for the stock on the Zurich exchange. On Friday, the stock lost 14 per cent, closing at 11 francs. The decline in value was seen as a reaction to the investigation in the United States into allegations that UBS employees helped clients commit tax fraud and concerns about the fate of the Alpine country's secret banking laws. Geneva - There have been over 325,000 announced layoffs in the financial sector since August 2007, the International Labour Organization said Monday, noting that 40 percent of those cuts, or about 130,000 jobs, were made since October of last year. More job cuts in the financial sector were to be expected as the full extent of the economic crisis became clear, the ILO said. The numbers did not include independent contractors and subcontractors. Geneva - The United Nations' Human Rights Council adopted Monday a resolution on the financial crisis, calling for protection of the most vulnerable and for assurances on international aid to developing countries. The resolution received 31 votes in favour from the council's 47 members but saw European Union states, Japan, Canada, Switzerland and others abstaining. Some Western states had opposed a special session by the council on the economic situation in principle, saying it was not the right forum for dealing with the wider issue. Zurich - There were over 200,000 applications for 2010 World Cup tickets in the first 24 hours since tickets went on sale via FIFA's online ticket portal, football's ruling body revealed Saturday. Applications from 128 countries for 216,975 tickets had been received via the website, excluding the hard paper applications handed in by residents of host nation South Africa at the country's First National Bank (FNB), a sponsor of the tournament. Geneva - Shares in UBS tumbled badly Friday, a day after the United States authorities issued a lawsuit against the bank demanding that it hand over about 52,000 names of clients. At one point in early morning trading the stocks dropped 17 per cent, and ultimately closed the day at 11 Swiss francs, down 14 per cent from its opening price. The bank, the largest in Switzerland, said it would challenge the US lawsuit. Berne - Swiss skier Daniel Albrecht will need several months of intensive rehabilitation and specialized treatment as he recovers from injuries in a serious downhill training crash. "The next weeks and months will be about Daniel Albrecht recovering well enough to be able to lead a normal life," the skier's manager, Guisep Fry, said in a statement Friday. Berne University's hospital said Albrecht, 25, would need complete peace and quiet and can only be visited by close friends and family. Zurich - The largest Swiss Bank, UBS, would comply with the terms of a deal reached with the US Justice Department, a spokesman confirmed Thursday, in order to avoid prosecution and settle claims of conspiring to help thousands of wealthy US citizens evade taxes. The bank would pay 780 million dollars in fines and would transfer information on accounts of clients who most likely committed fraud, said spokesman Serge Steiner. "UBS will fully comply" with the agreement, he added. Zurich - Swiss Re announced Thursday net losses in 2008 of 864 million francs, mostly on investments, as the insurance giant's credit rating was downgraded, increasing its funding requirements. In 2007 Swiss Re had turned a 4.2 billion francs net profit. Stefan Lippe, who was appointed CEO earlier this month, said in a statement that the result was "clearly disappointing," but that January had proved to be a better month for the company. He said the core insurance business was solid and that Swiss Re was working "to de-risk the investment portfolio." The group was also cutting costs. The company posted a fourth quarter loss of 1.75 billion francs.